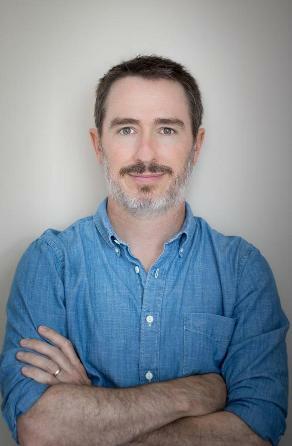 Recently Still: The Journal fiction editor Silas House interviewed novelist Wiley Cash for his radio series On the Porch. Cash talks about the themes that unite his novels, current events, his life growing up in Gastonia, North Carolina, and writing about race.. Below is a short excerpt from the interview. The entire audio interview can be accessed at WUKY On the Porch. Silas House: Tell us what you want us to know about your newest novel, The Last Ballad. Wiley Cash: That is a hard question and something I really struggled with. Trying to figure out what your book is about as opposed to what happens in your book are very different things. What my book is about is a 29-year-old single mother who stepped up in a violent textile mill strike in the summer of 1929 in the foothills of the Appalachian mountains of North Carolina. SH: Beyond that, if you had to boil it down to the main theme of the book, what would that be for you? WC: The theme of the book is about the convergence of race and class and gender and politics and economics during the summer of 1929 right before the Great Depression came and leveled the playing field of sorts, especially in the South and in these textile communities. The book is about all these great upheavals of class and gender and race. SH: Of course, that’s really timely. It seems our national conversation becomes more and more about those things. WC: The book is about a woman named Ella May Wiggins, she was a real person; the book is about a real strike that happened in Gastonia, my hometown, in 1929. Here was this tough woman standing up to the forces of greed and asking for a fair shot and a living wage and bringing in all different kinds of people, different races, different classes, to rally for the cause. It’s very reminiscent of what’s been going on recently. SH: Do you think that as a novelist that you have a theme that unites all three of your novels? If so, what is it? I was raised in an evangelical household. We were taught never to question anything, to always believe what you heard the elders say or heard the televangelists say. Even when they did something wrong, it was “the devil’s fault.” When you did something right, it was “the grace of God.” Human accountability was taken out of everything. You were never worthy of anything good and you could never really be blamed for anything bad. And I think that theme of “being rather than seeming” has found its way into all of my books. SH: Did you declare an artistic sensibility early on as a child or did that come later for you? WC: I think I did early. In my family, reading was encouraged, and we were never bored because we could always read. I grew up reading; I grew up around storytellers, so it just felt natural to try to tell stories. Any artistic impulse I had early on was telling stories and seeing what I could get away with. What kind of lies can I tell, that are clearly lies, but seem true? I really pushed the bounds of acceptability in terms of truth-telling and storytelling and lying, and blending fact and fiction and recreating scenes, adding fictive elements. If I have any artistic impulse at all, it came from those experiences. SH: You have written so frequently about race. I’m wondering what your experiences were? WC: I’ve always felt comfortable writing about race. I have a Ph.D. in American Lit. from University of Louisiana, and I chose UL to pursue my degree because Ernest Gaines was the writer-in-residence there and I got to study under him. Gaines was the first writer that I felt like I saw my own story in, which is ironic. He was born in 1933 in the Jim Crow South. His ancestors were slaves. He was born in a sharecropper’s cabin, couldn’t go to school in Louisiana because there were no schools for black kids in Louisiana. He had to go out to California to complete his schooling. But the way he wrote about land, the way he wrote about landscape, the way he wrote about old people, that was how my parents and my grandparents talked about land and landscape and old people. I had not read Ron Rash, Lee Smith, or (Charles Frazier’s) Cold Mountain yet. I didn’t know that people who were near to me geographically were writing about these things. I wasn’t taught Lee Smith and Ron Rash and Charles Frazier in undergraduate or high school. But I had stumbled across Ernest Gaines, and I saw so much kinship in the way he wrote about those things. Also, part of my graduate study was about the African-American writer in North Carolina named Charles Chestnutt who lived from 1858-1932. The way he wrote about racial dynamics in North Carolina and the South around Reconstruction and World War I just interested me so much. I saw so much tension, and I think tension is where story comes from. There’s so much tension surrounding race relations it’s kind of the obvious thing to write about in the South but it’s much more nuanced than it’s often presented. I think Ernest Gaines and Charles Chestnutt were just masters at the nuances of race and all the issues and problems and challenges surrounding it. And I felt, after studying with them and studying about them and so many other African-American writers, I felt, not qualified to write about race, but I felt comfortable writing about race. 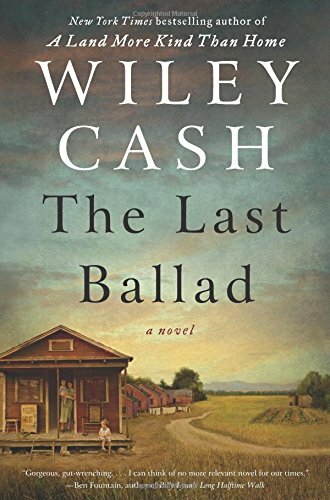 Listen to the complete interview and to Cash reading an excerpt from The Last Ballad at WUKY On the Porch with Silas House.